Integrated reporting is on its way to be core. This was expressed by most participants when Academia was meeting Business in the excellent SUBREA conference on sustainability reporting at the University in Lund. 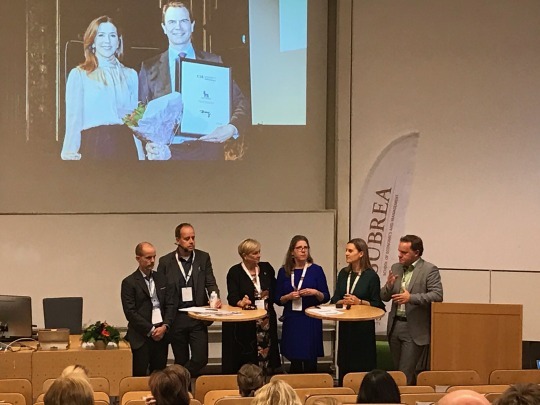 We saw the advent of a new conference thanks to an initiative from associate professor Susanne Arvidsson, known for her research on Investor Relation and CSR. But there was also some caution on this topic. For example, representatives from GRI stressed that social reporting cannot be totally integrated in financial reporting. There is lot of information that will not be part of the integrated report referring to norms mainly rather that the business case of CSR. Issues mainly connected to compliance to regulations for example or very local responsibility in terms of community engagement connected to a factory in a growth market country. If the sustainability report goes away and are replaced by an integrated annual report there is a risk of decreased transparency instead of the other way around. There is a clear risk that the space available for sustainability after negotiations with representatives for other topics will be very limited. This all of course depends on the level of actual integration of sustainability into corporate strategy. Without an integrated strategy it is hard to do an integrated report. This was another theme among participants. Tetra Pak for example stressed strategy and long term perspective and their Director Environment Erik Lindroth said “the content in the sustainability report 2019 is planned now in 2017 as it builds on the actions of 2018”. So strategy first. And then build content in a larger number of channels like websites, social media, events, intranets, advertising and printed employee and customer channels. There is very little of content production on CSR in other channels outside the annual or the corporate website. Here CSR-professionals are missing out. So, if the sustainability report goes away, content production on CSR needs to expand, meeting the growing need of CSR communication from stakeholders.